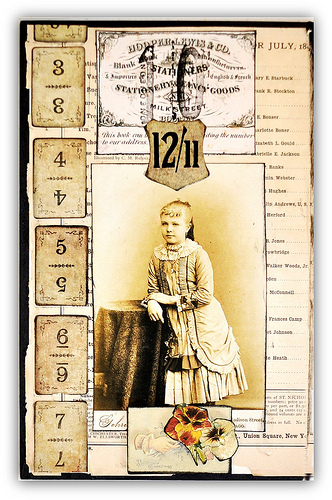 Check out the stunning mixed media work of Mary Ann Potter on her blog, This Country Life. It's so beautiful! Debbie Reid's diamond fold cards just about knocked me off my chair this week. Here's one, check out the others on her blog, Scraps from Abroad. 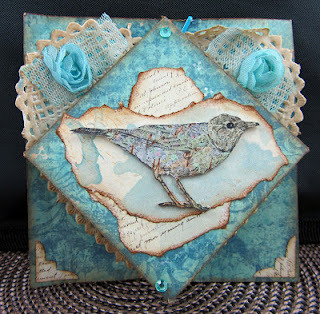 I love how Anna Scarpino altered patterned papers to create this beautiful card. Check out her Splitcoast gallery. 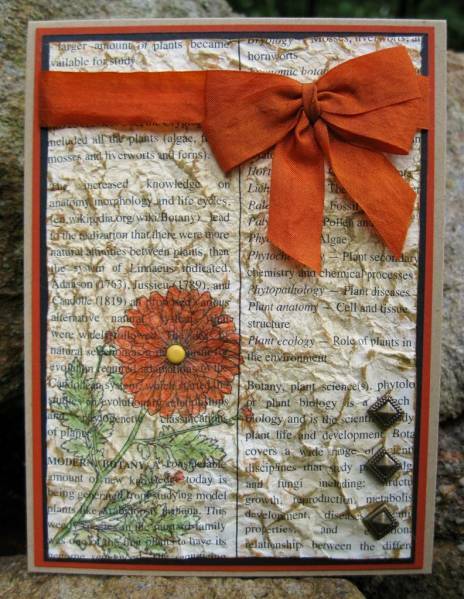 And finally, Petra Berendsen's altered book made my heart leap for joy this week. How much fun is this? 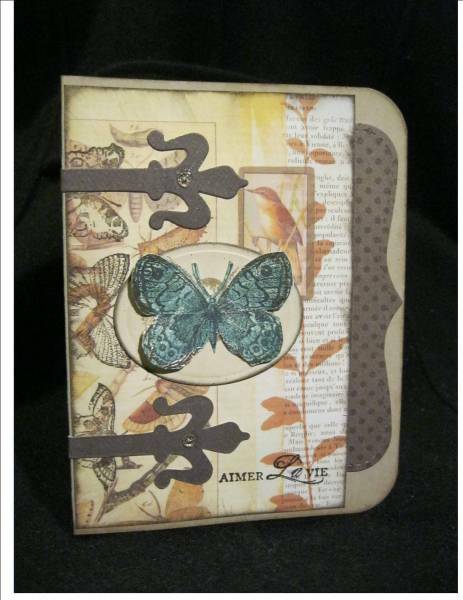 See more details on her blog, Kunterbunt Cottage. Thank you so much for including my little leap frogs into your Friday showcase! All the pieces displayed are truly inspiring. And I love the quote. Ali, thank you for featuring my work here! What a blessing! Awesome Ali, thanks! I seem have caught the "fancy fold bug", just discovering them actually! I see I am in fabulous company! Beautiful creations ladies! What a great idea Ali! Love your finds, thanks for sharing them! Fabulous creations; TFS 'em with us!